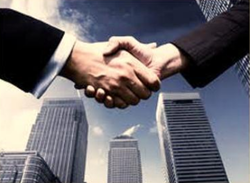 We, Manish Properties, have emerged as a guiding star to all those who want to invest in the properties of Gurgaon. Our services are focused towards showing you the right path in matters pertaining to buying of properties. With the emergence of real estate as one of the potential sites for investment, a number of complexities have entered into it. We stand here for the simplification of all such complicacies. 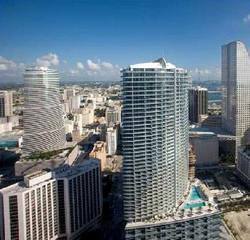 If you wish to earn maximum profits by selling your property, then we are the sole resort you should take to. We provide maximum visibility to your properties that would attract the authentic buyers who would pay the real worth of your property. For the facilitation of the buyers, we record the best of the sale-able properties in the residential, commercial, industrial and agricultural sector in our vast databank. 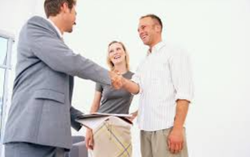 Being a prominent real estate agent, we also deal in properties on rent basis. We maintain crystal clear deals between the owners and the tenants so that their relationship is taken to the next progressive level. We also keep the tenants as well as the owners updated about the latest property rates and rental rates. "TATVAM VILLAS", spread over an area of 50 acres (approx), is a part of 150 acres premium integrated township called VIPUL WORLD on main Sohna Road, Gurgaon. 254 exclusive villas designed to match the taste of the discerning few, these villas are modern & contemporary in design with all the features to facilitate comfortable living, backed by plethora of modern services. Vipul presents Lavanya Apartments - the ideal combination of common sense & aesthetics; of intelligent planning and a design that invokes a sense of community. 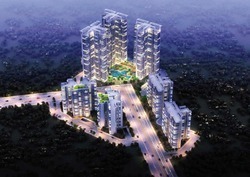 Spread across over 10 acres in Sector-81, right off NH-8 in Gurgaon. Sharapova Signature Branded Residences is an iconic 42-storey apartment tower designed by Upton Hansen Architects of London, as a tribute to the grace and beauty of tennis legend Maria Sharapova. 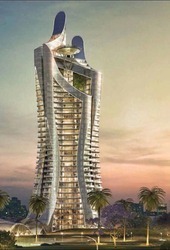 The tower's 120 plush residences will have interiors designed by Ms Sharapova. The Landmark Group brings you Gurgaon's most preferred retail hub by the leading brands Landmark the Outlet in Sector - 67, Gurgaon. It provides support for integration of retail stores, coffee shops and fast food joints. This retail hub is based on the open market concept for high footfall with low maintenance cost. This Commercial Development of approx. 3.5 Acres is proposed as a mixed use of development of Retail, Service Apartment and Office Space. Located on the 60 mtr wide sector Road in Sector - 71, In close proximity to the Sohna Road. Just a perfect location - Convenient, Accessible with host of Amenities. And it’s located at a place where you can take your business beyond the sky because this project is adjacent to some of the finest developments including exquisite Villas, Luxury Apartments and Condos. Discover the dream home, the one that is perfect for your ultimate lifestyle. Earth Copia's exceptional homes offers a unique variety of architectural, design and options for you to choose from. Designed to be the ultimate in comfort and luxury, Earth Copia is a perfect address for you and your loved ones. Earth Copia's each Apartment is tastefully carved out to create adequate living space for the whole family as well as a corner for an individual pursuit. Copia is a prestigious residential project in the capital's neighborhood with 70% greenery to maintain harmony with nature. 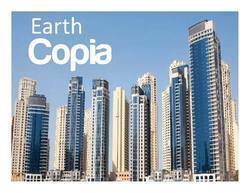 Earth Copia offers 2, 3 & 4 bedroom Apartments. ELACASA is enviably located on the edge of Dwarka Expressway, which is poised to become the new Shangri-La and centre of gurgaon. The Expressway is an immaculate blende of strategic location and world class infrastructural development. The region is in the midst of planned commercial and urban development with excellent transport connectivity. Moreover, a number of reputed educational institutions, shopping centers, medical centers and sport facilities are also coming up in the near vicinity. The location of "The Leaf" is one of the factors that works greatly in its favour. Situated in Sector 85 of New Gurgaon, it is only 2 kilometers from the National Highway 8 and has direct access to the Dwarka-Gurgaon State Highway. 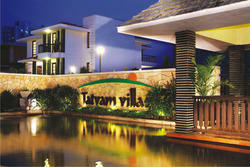 It is only 25 minutes away from IGI Airport and only 10 minutes from the state Railway Station. A metro hub and an inter-state bus terminus are coming up in its vicinity. This finest project adorns the picturesque locale of Sector 85, Gurgaon providing easy access and proximity to everything you would ever need in living a comfortable and relaxed lifestyle. Everything in The Leaf is planned around the basic philosophy of abundance. So be it greenery, space, luxurious amenities or tranquility, you will see the manifestation of this philosophy in every sphere of this project. Come, experience it and start afresh or should we say turn a new leaf in life. The current on-going price of the apartments is 6500/- sq.ft. Vatika Tranquil Heights is a place that emerges with a green and serene surrounding, offering 2, 3 & 4 BHK apartments with excellent backdrop. The Address is beautifully landscaped by great infrastructure served by Gurgaon, the city of rising industries and corporate hubs. Vatika India Group has been involved in creating stylish benchmark residential projects in and around capital region. With four decades of expertise in realty development the group has now launched Tranquil Heights, new sensational venture right in the middle of Gurgaon next to NH-8 highway. The apartments have complete comfort and are equipped with classy interiors with many conveniences, they are available in 1580 sqft to 2600 sqft area. 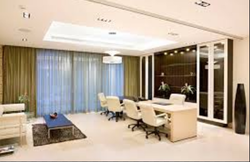 Aquarius Business Park a new venture by Vigneshwara developers which is coming up in sector 74, part of the Central Business district of Gurgaon. 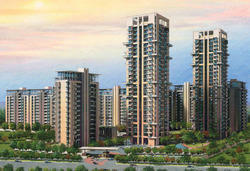 Project is located in sector 74, Gurgaon surrounded by Udyog Vihar 7. Smart Office Home Office next. Aaron Ville brings to you, luxury at its best in the form of lavish expandable and non expandable villas and an array of premium freehold plots ranging from 180 sq mts to 335 sq mts (appx). Embellished with ultramodern outlook and magnificence; the luxury heaven is spread across 15 acres of lush greens.Ideally located in Sector-48 and well connected to Sohna Road, this project is just a kilometre away from Southern Periphery Road and is set in to the close proximity of proposed metro station. 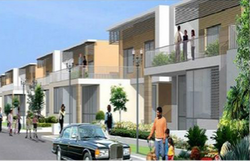 The admirable infrastructure of the township is set amidst the vicinity of finest residential neighbourhood. The unique location of the property also gives it an easy and exclusive access to the commercial sectors of the city. SS Group take the opportunity to introduce ultra luxury project "The Hibiscus", situated in the heart of Sector 50, Gurgaon. A range of spacious, perfectly designed units, offers the home-owner a choice of 3-4 Bedroom Homes, Villas with multiple.